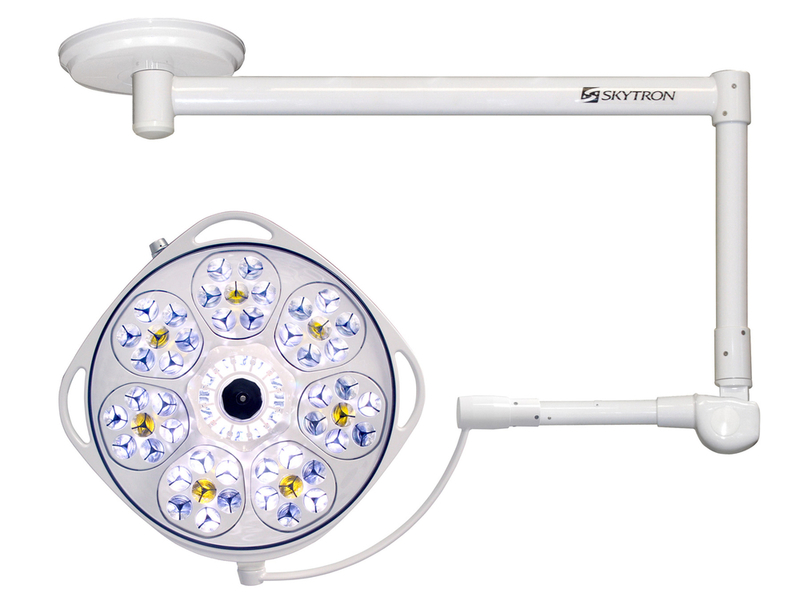 LED Surgical Lights for Hybrid Operating Rooms & Hybrid Cardiac Catheterization Suites. Surgical Lights on Boom Arms or Recessed into the Ceiling. 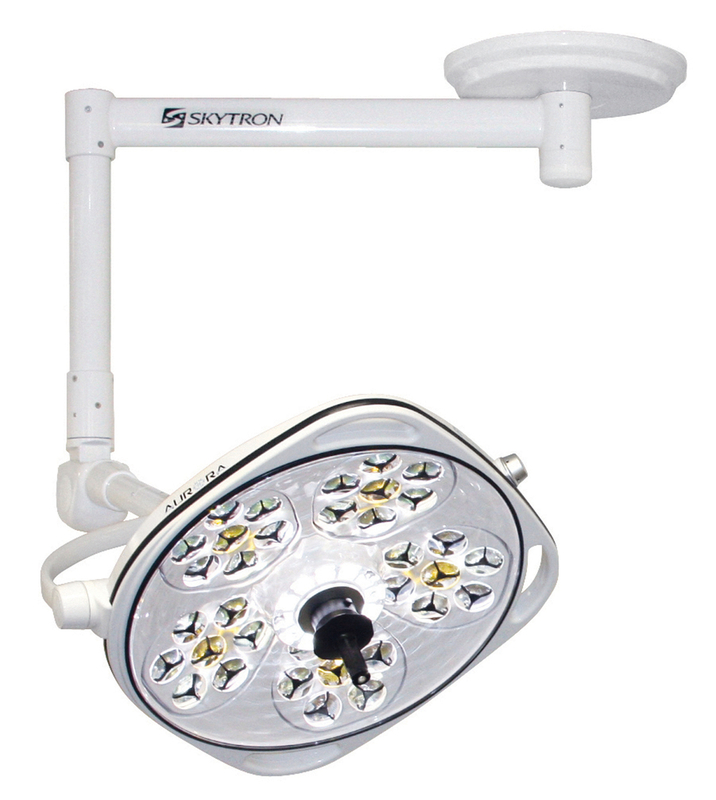 SKYTRON, Stryker, Maquet, Trumpf, Steris. 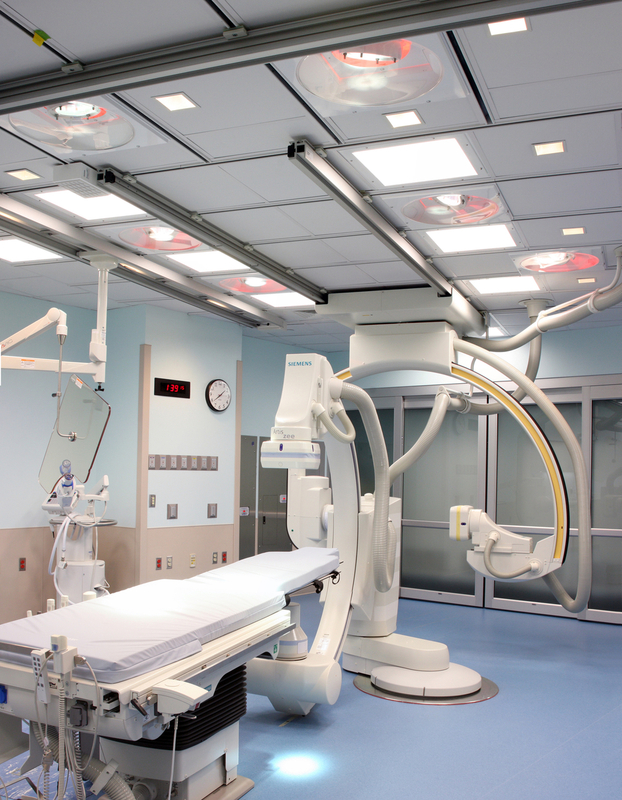 In general, two different light sources are needed in an operating room: the surgical (operating) lights used for open procedures and the ambient lighting for interventional procedures. Particular attention should be paid to the possibility to dim the lights. This is frequently needed during fluoroscopy or endoscopy. 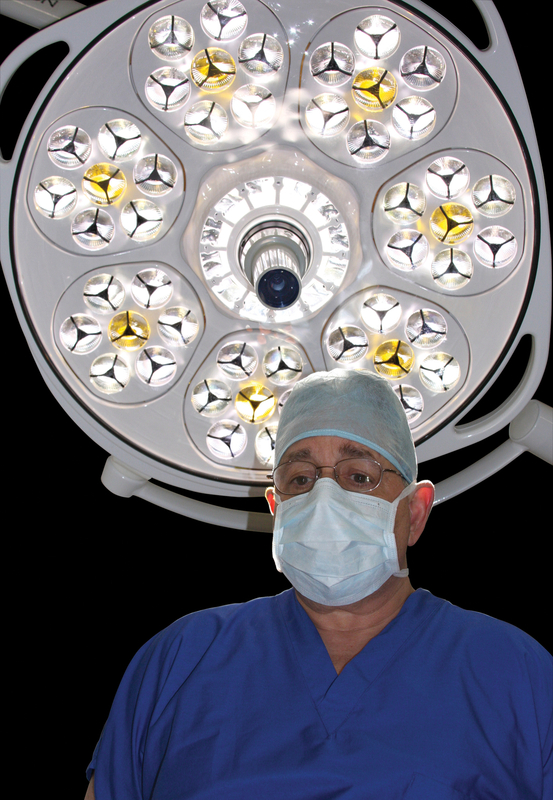 For the surgical lights it is most important that they cover the complete area across the operating room table. Moreover, they must not interfere with head heights and collision paths of other equipment. 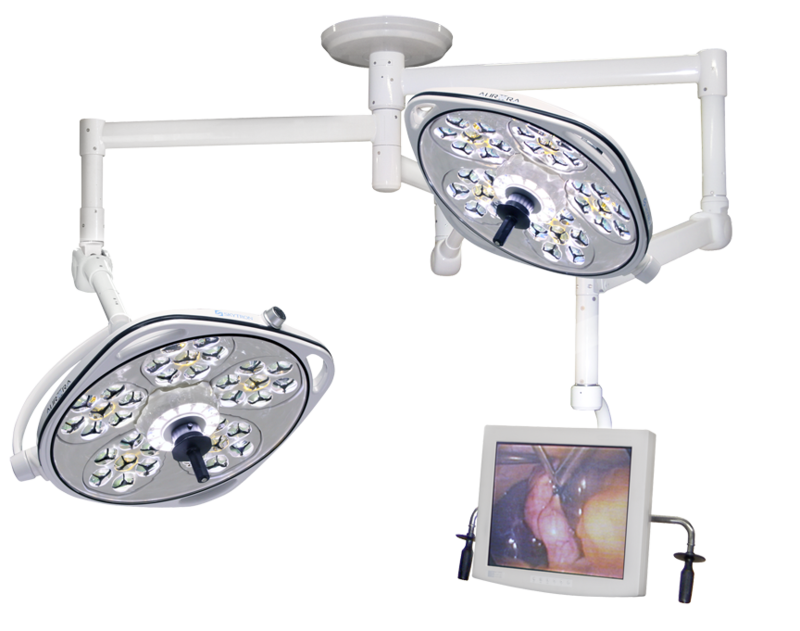 The most frequent mounting position of OR-lights is centrally above the OR table. 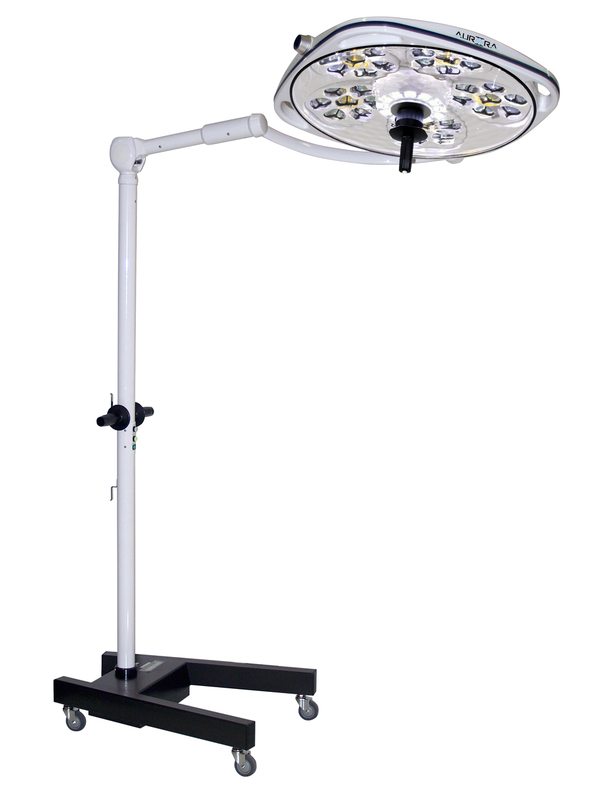 If a different position is chosen, the lights usually are swivelled in from an area outside the OR table. 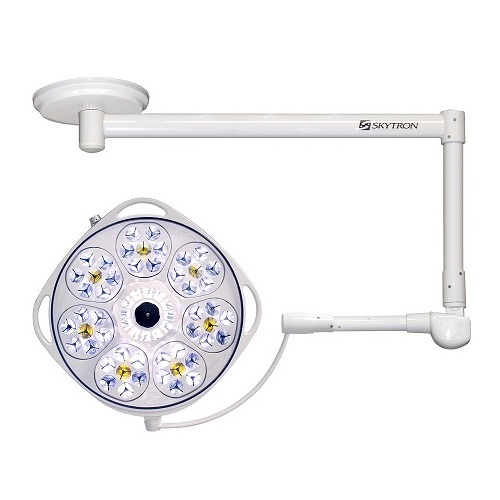 Because one central axis per light head is necessary, this may lead to at least two central axes and mounting points in order to ensure sufficient illumination of the surgical field. In a Hybrid Operating Room environment, the movement range of the Angiography imaging system usually determines the positioning of the surgical lights. Central axes must be outside of moving path and swivel range. This is especially important as devices have defined room height requirements that must be met. In this case, head clearance height for the OR-light may be an issue. This makes lights a critical item in the planning and design process. Other aspects in the planning process of OR lights include avoidance of glare and reflections. Modern OR lights may have additional features, like build in camera and video capabilities. For the illumination of the wound area, a double-arm OR-light system is required. 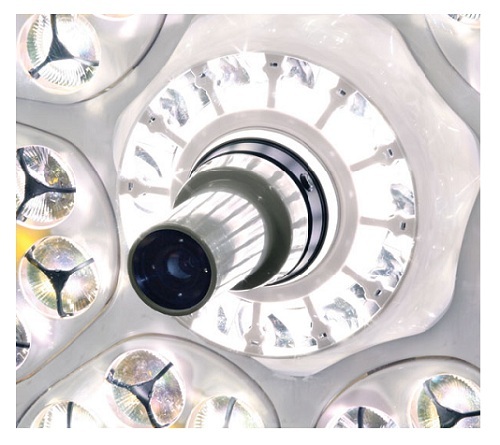 Sometimes even a third light may be required, in cases where more than one surgical activity takes place at the same time, e.g. vein stripping of the legs. Central location above the OR table (impossible with ceiling mounted systems). Modular system with options for extension, e.g. video monitor and/or camera.